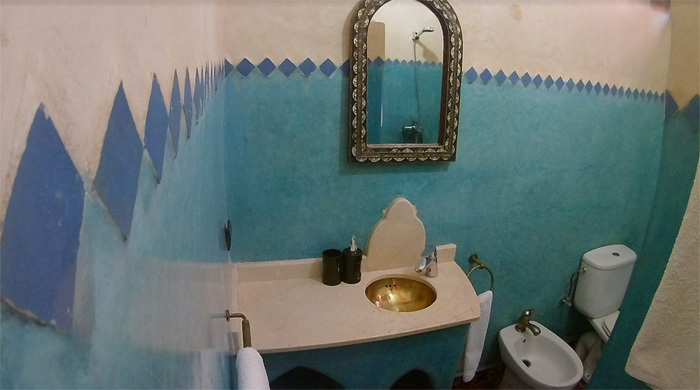 Das Dar Tuscia ist ein kleines Riad im ältesten Viertel der Medina von Marrakesch, wo noch die Faszination und Authentizität der Marrakchi Kultur zu finden ist. 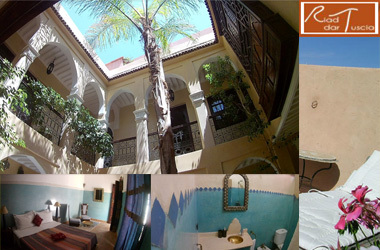 Das Riad ist im typisch marokkanischen Stil eingerichtet mit Berber-Teppichen, Zellij, Tadellakt und Handwerksmöbel. Im Riad findet der Gast alle modernen Annehmlichkeiten. Das Riad steht In den Mauern der Altstadt, in der Nähe des Taxistandes und mit einem sicheren 24/24 Parkplatz, der etwa 300m entfernt ist. 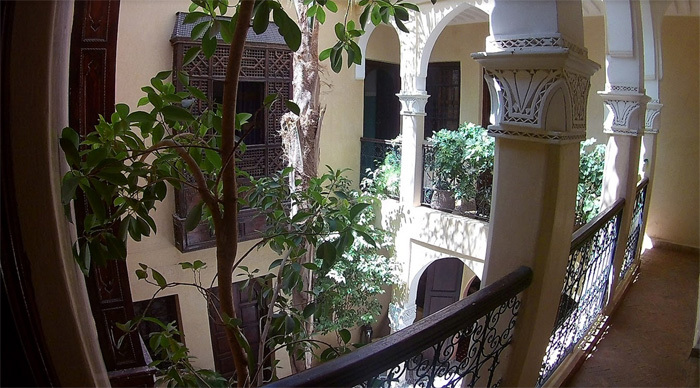 Das Riad ist ein optimaler Ausgangspunkt, um die lebendige Stadt zu entdecken. Durch die Gassen der Medina kommen Sie Schritt für Schritt zu den Souks und zu dem Hauptplatz. 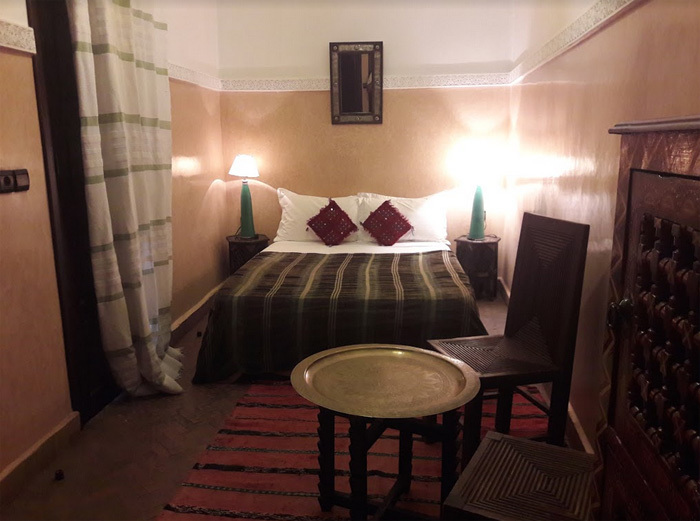 Dar Tuscia is a little riad situated in the most ancient quarter of the medina of Marrakech, that still maintain the fascination and authenticity of marrakchi culture. 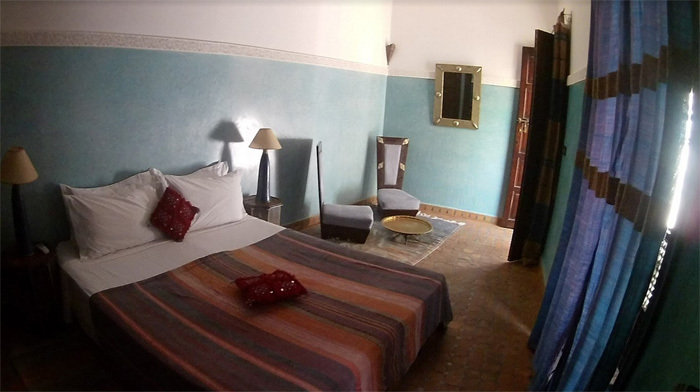 The riad is furnished in typical moroccan style, berbers carpets, zellij, tadellakt and handicraft furniture. It has all of the modern comforts. 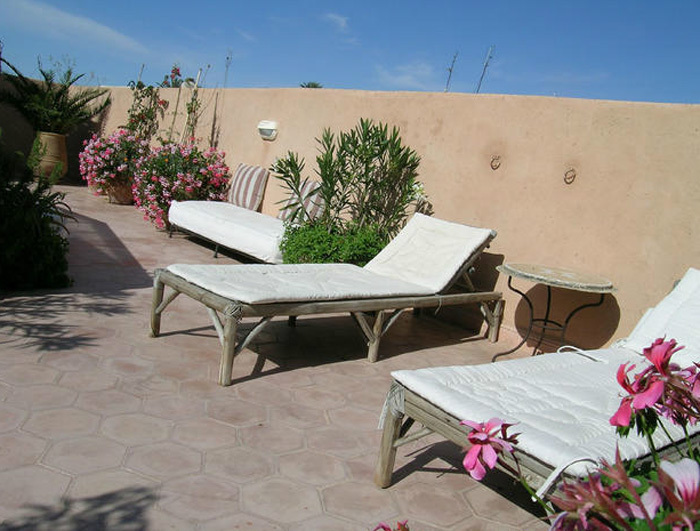 Situated within the walls of the old city, near to the taxi station and with a secure parking 24/24 at approximately 300 mt. 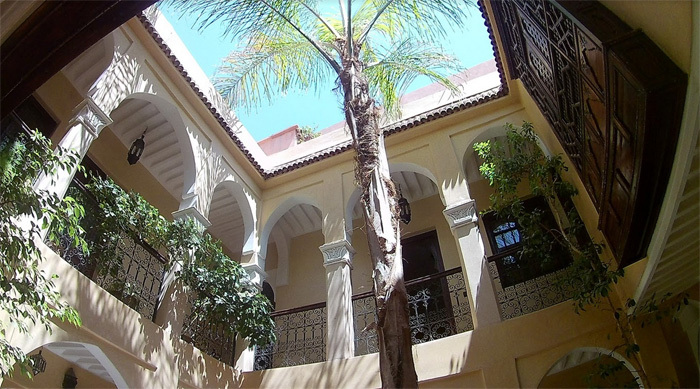 far, it is an optimal point of departure in order to discover the lively city of Marrakech. Passing through the alleys of the medina, discovering step by step the city and the life of the people, you'll arrive to the souks and the main square.